I was lucky enough to be able to work with cherry916 on her fic Let The World Spin (With Me and You in the Middle) for mpregbb. 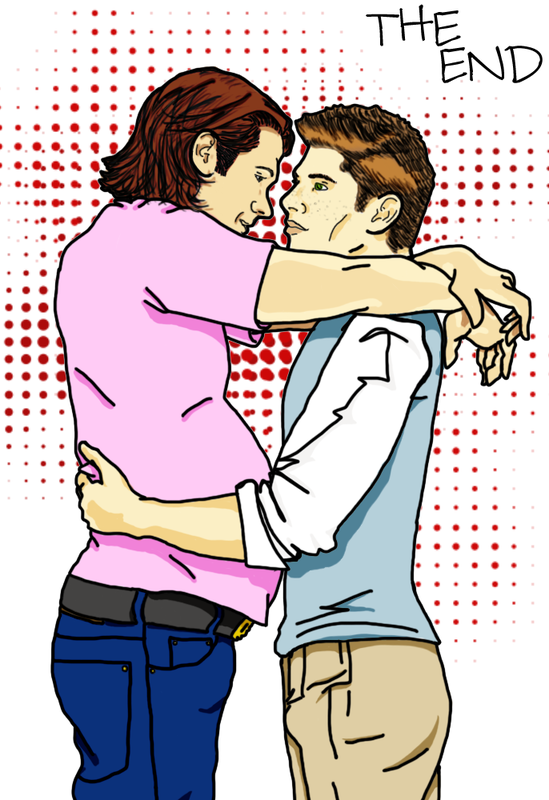 From the art, I actually made two banners, one focusing on Jared and Jensen's faces, and another on Jared's pregnant stomach. My eyes hurt and I think I might have killed the first nib on this pen, but I'm very proud of what I did.